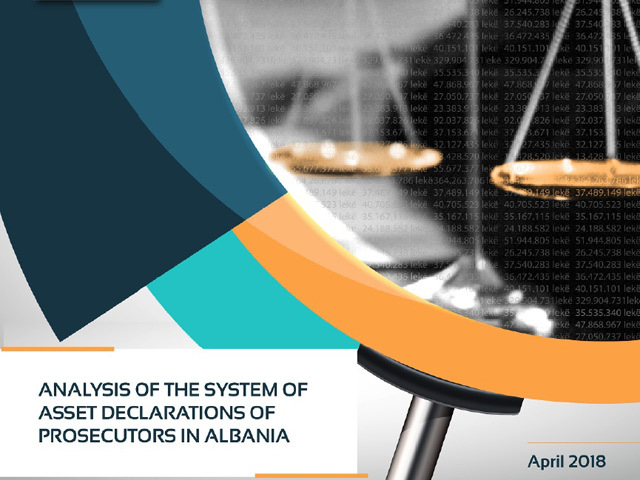 This latest report comes on the heels of four studies published by BIRN Albania on the integrity of the assets declarations of judges from first-instance courts, appeals courts, the Supreme Court and the Constitutional Court. The study sheds light not only on how prosecutors in Albania have accumulated wealth but also on key practices, recognised as “red flags”, which obscure the origin of this wealth, such as gifts or loans from relatives, inherited assets, large bank loans, real estate transactions and cash kept outside the banking system. This report aims to analyse the structure and source of assets, expenditures, liabilities and income declared by all prosecutors, as well as provide detailed information on changes to the overall wealth of these officials. The authors of this report hope these data will help journalists, experts and civil society actors to independently monitor the performance of the vetting institutions that are expected now to sift through the judicial cohort and investigative cases of illegal assets of judges and prosecutors. To download a copy of the report in English, click here. To download a copy of the report in Albanian, click here.